For those asking “What are the newest Garmin GPS Models?”, this article is for you. For years, this company has been well-known across the globe as among the leading brands that offer GPS navigation and wearable technology products. It has gained a large following from both professional and recreational hunters, hikers, campers, and more. Exploring the outdoors is a much-loved activity all over the globe. It is viewed as our way of building a deep connection with nature. Additionally, it is also a great way to de-stress and exercise our mind, body, and spirit. That is why it is not really shocking that there are thousands of gadgets specially designed to target outdoor lovers. One of the many trusted brands in this industry is Garmin. This company boasts more than 60 offices that are scattered in different countries around the world. They have over 11,500 associates who are dedicated to sharing their products with individuals in the aviation, automotive, outdoor, and fitness industries. They pride themselves on engineering products that have superior quality, compelling design, and reasonable prices. Some of their most loved products include handheld GPS devices, in-dash cameras for cars, multi-sport tracking watches, smart weighing scales, fishfinders, radars, and mobile apps. All of these are guaranteed to meet the highest industry standards when it comes to navigation and wearable technology. 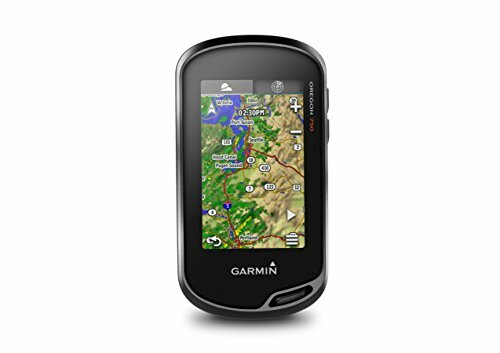 What are the Newest Garmin GPS Models? If you are curious to find out the answer to the question: what are the newest Garmin GPS models recently released on the market? Then, check out the list below and hope that you will find the one that would make your outdoor adventure a lot easier and more enjoyable. Staying connected is very important nowadays, especially because of how fast things are happening in different parts of the world. Even when you reach off-the-grid areas, you are really never out of reach if you buy yourself an InReach SE+. This device is perfect for outdoor enthusiasts who like to stay in touch with their loved ones even when they have gone to the deepest parts of the Earth. This handheld satellite device allows its user to share his location, navigate far-to-reach areas, send critical SOS calls, and communicate with ease. It can be used while you are on land, up in the skies, or floating on water. Back in the day, it was very hard to communicate through the radio when the signals are weak. Luckily, as technology advances so did our communication devices. With Rino 750, you can enjoy two-way radio communication with your fellow Rino users up to 20 miles away. You can either send a text or communicate by voice. Additionally, the Rino 750 also comes with map-guided trail navigation using highly sensitive GLONASS and GPS receptions. This means that you can lock into more challenging surroundings compared to using only GPS channels. You can also use this device to share your exact location with other Rino users. For those looking for a rugged navigator, take a look at the Oregon 750t from Garmin. This new version boasts a redesigned antenna that gives better reception using both GPS and GLONASS satellites. It is the perfect navigation companion for hikers, hunters, climbers, trail riders, and more. Moreover, this device also boasts many other features such as Wi-Fi, Bluetooth, and ANT+ wireless connectivity, animated radar overlays, and reliable satellite imagery subscription. It also comes equipped with a three-axis compass with barometric altimeter and accelerometer sensors for easier navigation. For athletes out there who need to keep track of their progress, the Forerunner 935 has got you covered. This watch offers multi-sport functionalities that you can rely on. Besides, it weighs no more than 50 grams so you can definitely wear it all day. Among the many features the Forerunner 935 has are a built-in barometer, electronic compass, and altimeter to track elevation changes accurately. 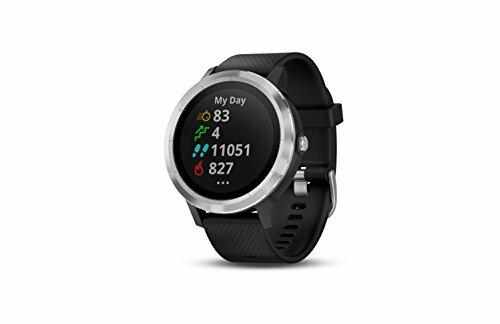 It is also designed with other monitoring features for swimming, cycling, and running such as stride length and ground contract time balance. It can also measure your heart rate. For a fashionable smartwatch, the Vivoactive 3 can do a lot of things. This device is specifically designed for young professionals who enjoy a healthy work-life balance. It comes equipped with 15 pre-loaded sports apps such as yoga, swimming, and running, so you can add dynamics to your exercise routine. The built-in GPS records everything from your location to pace and distance. More than a fitness watch, you can actually use Vivoactive 3 to pay for purchases through the Garmin Pay Technology. You can also enjoy automatic uploads and smart notifications through Garmin Connect and location updates via LiveTrack. 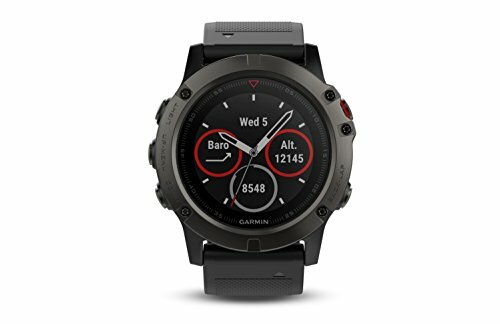 Quite similar to the Forerunner 935, the Fenix 5 Series is also a multi-sport GPS watch that is stylish, modern, and reliable. This device boasts a wrist heart rate technology to monitor your heart health during workouts and other activities. It has interchangeable bands that will let you go from professional to fitness buff in no time. 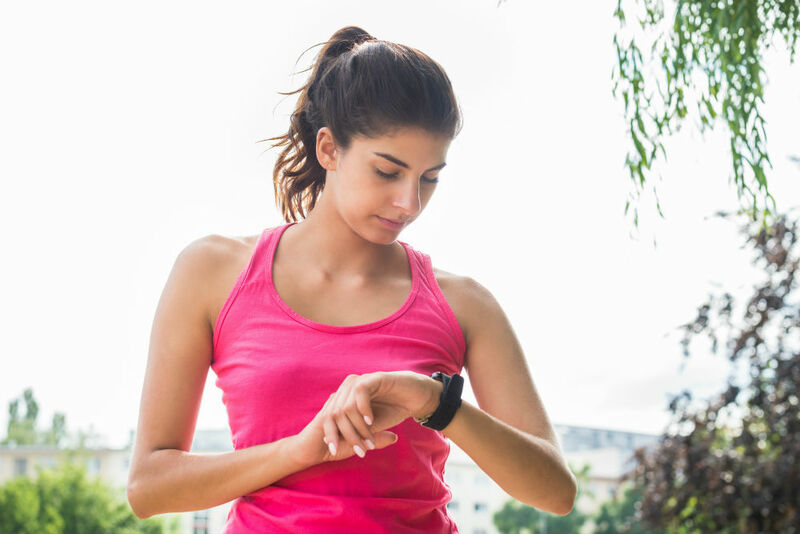 Aside from personalization via changing the wristbands, you can also choose from hundreds of watch faces and apps to accommodate your specific needs and goals. 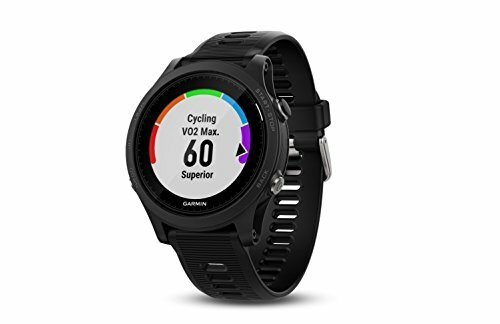 It can also be connected to various online fitness communities through the Garmin Connect feature. In order to get accurate records, the Fenix 5 Series has a combination of different outdoor sensors such as GLONASS and GPS satellite receptions. It also has a three-axis compass equipped with a barometric altimeter and gyroscope. Finding the right product that meets your specific goals and requirements takes a lot of time, research, and effort. Luckily, there are hundreds of websites that offer reliable reviews and information on these very products. All you need to do is key in what you are looking for, and you are provided with a long list of innovative products that you can choose from. When it comes to devices that are similar to what has been mentioned above, remember that you can only get the best value for money if you purchase something that speaks to you personally. Make a habit of doing your research and weighing the pros and cons before putting your money into any kind of product or service.